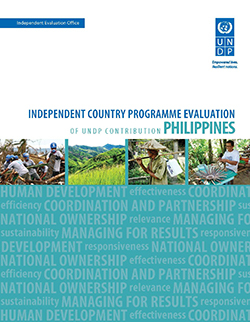 This evaluation examined UNDP's contributions to national development goals, its relevance and strategic position within the country during the period between 2012 and 2018 . It provides a set of forward-looking recommendations, with a view to supporting the country office and its partners in the continuous efforts to improve the country programme by learning from the achievements and challenges. 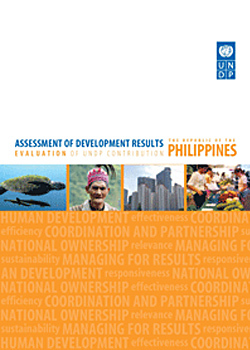 The ADR found that the UNDP programme in the Philippines has made substantive contributions to development, relative to its financial resources, through advocacy and support to statistical reporting around the MDGs and incorporating the MDGs in local planning and budgeting.